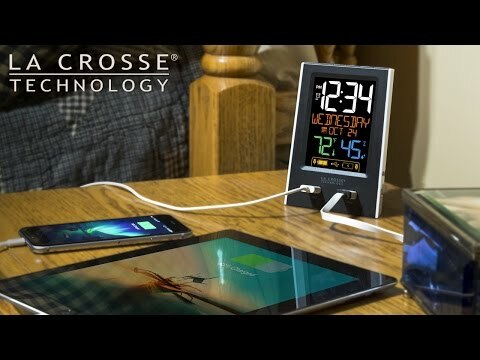 C86224 Alarm Clock Charging Station with Two USB Charging Ports . I love this clock but the cord stopped working. I contacted LaCrosse they sent another. The cord stopped working AGAIN. I bought one of these for my husband. Had to go back and get another for myself. I love that I can charge my phone and my tablet at the same time. I read in bed so it is nice to not have the tablet die in the middle of the good part. Thank you for your feedback. We apologize you are having troubles. You will be responded to via the e-mail, provided when you created your review.